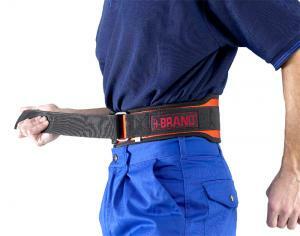 - Simple Economy Belt 4"/10cm Wide. - Made from Rubber 'Bio Gel' with LECRA and Polyester Covering. - Simple One Action Velcro and Buckle Fastening.